« Is Mike Lombardi the Key to Nick Saban? Josh Cribbs has apologized for his profane tweet following the Browns loss Sunday in Denver. Cribbs said Wednesday that he was mad at himself for muffing a punt, angry that it contributed to a 34-12 setback in Denver, then enraged when he got several derogatory messages. 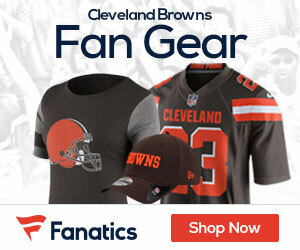 Cribbs said he won’t get caught doing it again, realizes true Browns fans would not try to tweak him, and the best way to make amends is to play well in the final game in Pittsburgh.